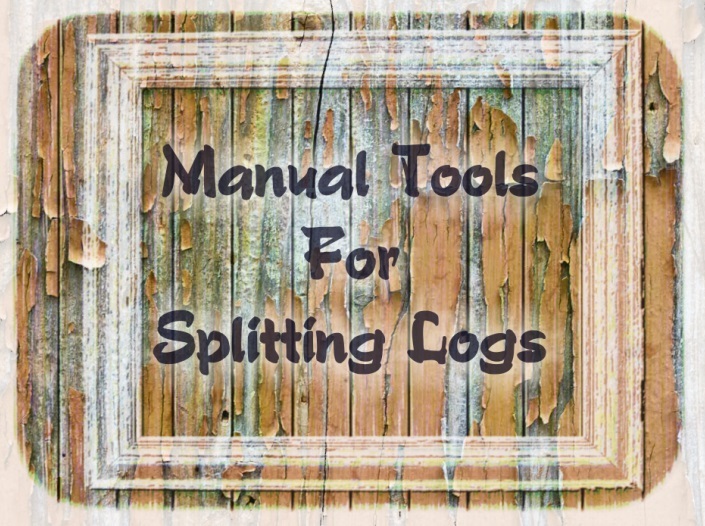 With so many different types of manual log splitting tools on the market, it gets extremely to difficult to know just what the best manual log splitting tools are. There are a few advantages in going with manual splitting tools compared to going with something like a gas or electric powered log splitter. The first and most obvious advantage is that a manual tool is a lot cheaper then the extremely expensive up front cost of a gas or electric powered wood splitter. So if you’re on a budget but still want to split logs, then the manual option is a great choice to go with. But apart from the simple cost advantage of going with a manual tool, there are other benefits as well. One of the things that I really like is that these tools don’t require anywhere near the amount of maintenance that the engine/motor log splitting tools require. While you have to worry about maintaining the engines and fluids of the gas/ electric splitters, this is something you don’t have to do with manual tools. Tho the maintenance of the manual tools is just as important. The last thing you want is to strike your wedge and have steel chip of and cut an artery. So you should always manage your tools, this should go without saying but some people forget it nowadays. On this page I will be going over three different tools all suited for a different purpose to try and cover as many people as possible, since we all have different needs when it comes to this kind of work. The person who needs a manual log splitter may not like using a splitting maul or they a splitting wedge isn’t suited for them. 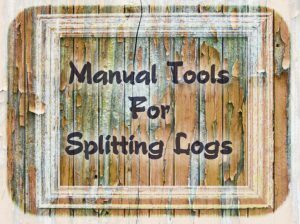 Read on to find my buyers guide for the best manual log splitting tools where hopefully I have found the right tool for your needs. The Estwing sure split wedge is a very impressive splitting wedge that should be everyone’s tool shed. It’s made out of a soft steel(use a magnet to test steel/iron) which does dent when struck with a blunt object, but this does help prevent breaking of a steel maul or sledgehammer. Which does have a higher risk of if happening if it was a hard steel wedge. But as with all this kind of work you can’t fully prevent such things. So you should always wear the basic protection gear such as eye wear. Safety first remember. I have found that some people do have some issues when first getting started with this wedge This is because you normally try and find a split in the log to get the wedge started. But slits in the log aren’t always present. If this is the case, it is always handy to have a splitting axe to make a start. But once you have it in the top of the log it is best to either strike with a sledge hammer or the blunt side of a splitting maul. That is the greatest strength of the wedge. Just how simple it is to set up and use. 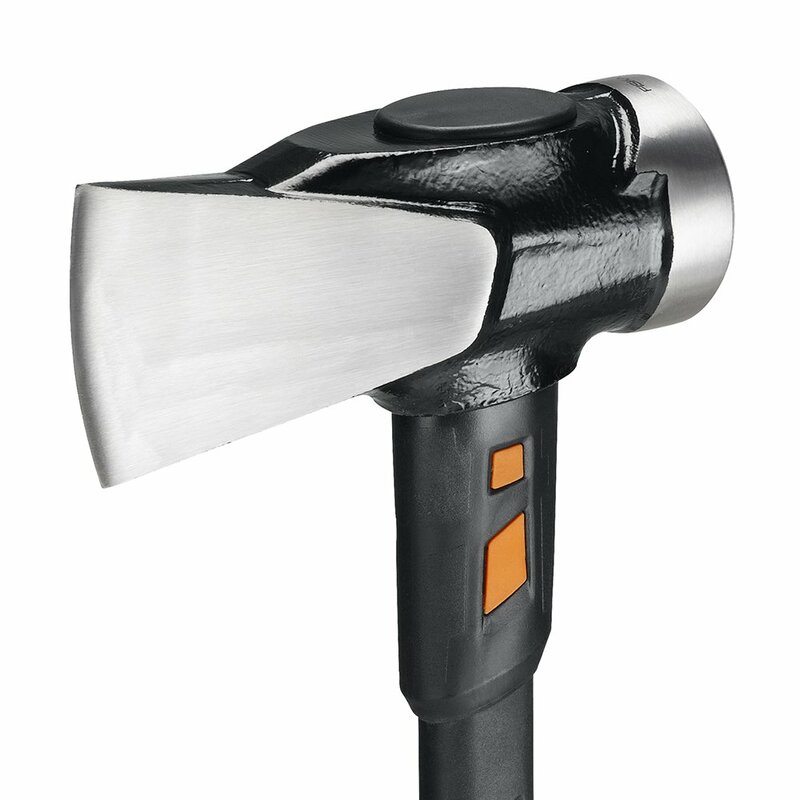 There are a lot of splitting mauls on the market so what makes the Fiskars Iso Core 8 pound maul lead the pack?. The first thing to notice with this maul is the length of it. The Fiskars mentioned here which is 36 inches in length. I find that 36 inches is the perfect for length for the average person, If you’re roughly around 6 foot then you will find that this is the right length for you. I’ve used a $200 German made splitting maul that didn’t split as well as this maul, which is really surprising consider just how well German engineering is. With this maul it as able to split some pretty gnarly elm logs, which if you’ve ever had to deal with elm before then you know it is one of, if not the worst log to split. But this maul handles them like a champion. The iso core in the maul menas that you will get less spring back when impacting into the log. 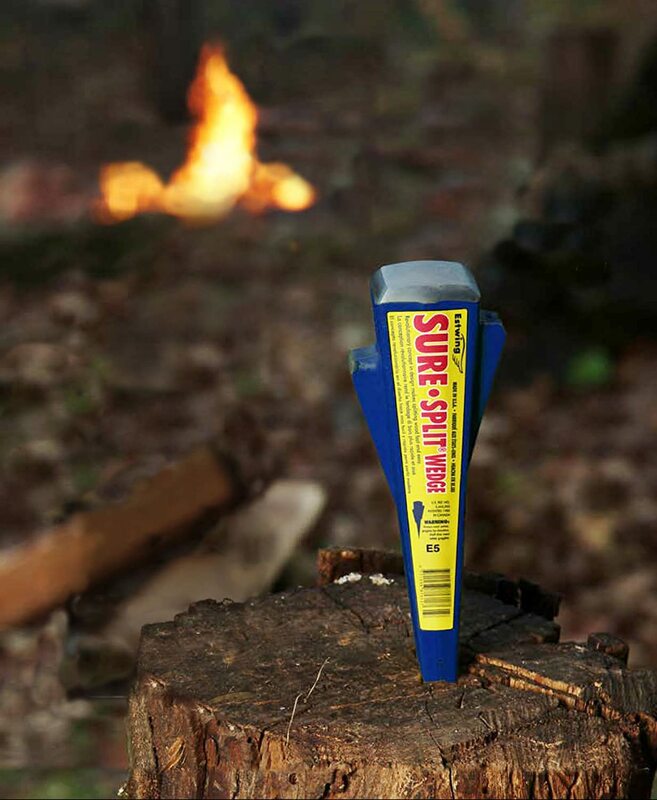 So your hands won’t feel as much pressure and hurt as bad. 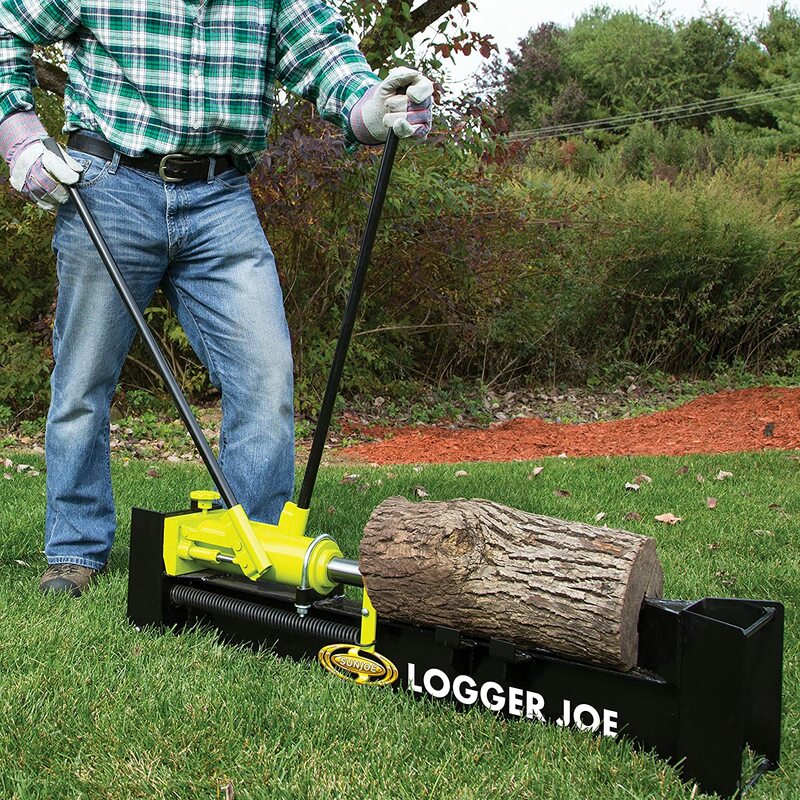 While using a splitting wedge and maul allows you split larger logs then using a manual log splitter, it is a lot easier on the body to use the Logger Joe. While swinging a heavy maul or sledgehammer can be a decent workout, after a while you will get tired. Getting tired when you still have several rounds to go can be overwhelming and may cause you to fall behind in a massive way. So having a tool that saves that amount of energy while not breaking the bank is always a plus in my books. Its simple two lever system is extremely useful that doesn’t take a lot of effort to use at all. There is one lever that does a big push that is good for getting through the easier part of the logs. Then when the log gets harder you use the other lever that does small pushes, which makes it easier to get through the hard parts. While it is easy to use this splitter it has a surprising amount of power for such a small splitter. It can handle logs that are 18 inches in length which was surprisingly longer then I expected, but this is where a small problem comes up with this splitter. This splitter has a tendency to not split all the way to the end, which is a little annoying and the easiest fix is to just turn the log around and split from the other side. While you can split logs that are wider then 10 inches in diameter with this splitter, I don’t really recommend going much larger then that. This small splitter aren’t designed to split such large logs. To learn more about how a manual log splitter can save you time and money, read my full guide to using a manual splitter. Well its certainly easier to use a big gas/electric log splitter, the upfront cost is expensive and isn’t always easy to obtain for everyone. So having these nice cheap alternatives that are very effective at what they do is quite important. However, for the amount of logs you could split in a full day using a maul or axe, you could accomplish in one hour with a simple 5 ton electric log splitter. Plus they won’t cost you much more than a manual too either. All three of these tools are the best in there category in my opinion, they are the best value for money tools on the market. If you can afford the upfront cost of a gas powered log splitter and require that much logs I would recommend considering going with that operation, but that isn’t always possible so these are great alternatives.